Another PlowOn Gum Giveaway! | So What? I run. I just can’t get enough of this stuff and I’m happy to be able to share this sponsored giveaway from PlowOn Gum once again. 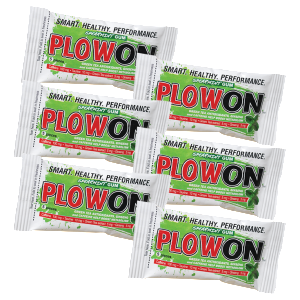 PlowOn is an energy gum that I use during my training to give me a little boost especially during the long runs. If you missed my previous review, check it out here! This giveaway will have THREE prizes! This entry was posted in Running and tagged Energy Gum, giveaway, PlowOn by SoWhatIRun. Bookmark the permalink. Really hoping I win! I love this stuff! It’s awesome to have something small enough to keep in my pocket while I run, and it actually works too! I love trying new items! I would love to have some 🙂 PlowOn ladies! I haven’t tried this before but it looks really great! I love trying new things to keep my energy up during my long runs. Thanks for the giveaway and the cool recommendation! Always open to trying something new! #PlowOn! Would love to try this out. Especially since I’m actually going to start using my school’s gym now!